Over the years, these have become a shop staple. Our Happy Holidays and Merry Christmas gift tags are quickly snatched up by folks who are getting into the gift wrapping mode. 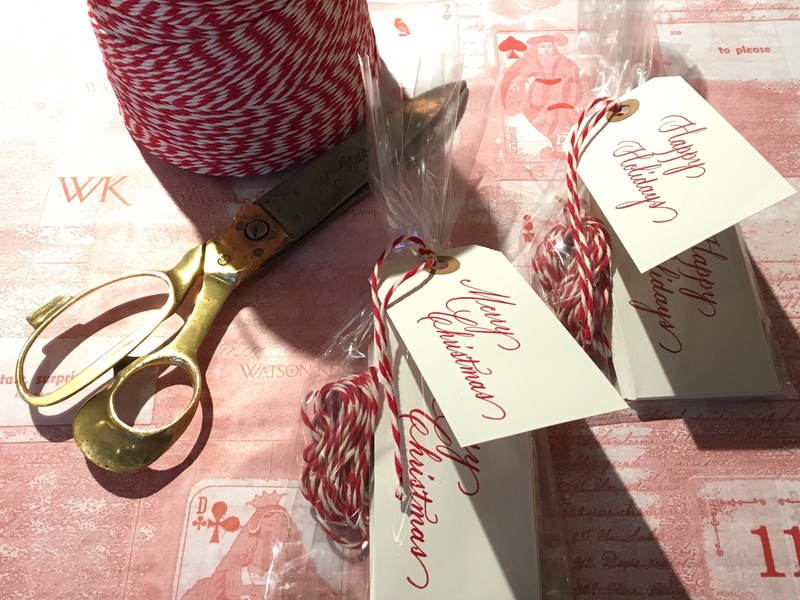 In packs of 20 with a generous amount of jaunty thick red & white twine, they work perfectly around a bottle of bubbles or stylish gift box. The back is left blank so a message can be added, if desired.